If you like TOMS shoes, here is a deal you may want to check out. Nordstrom Rack has these TOMS Del Rey Knit Sneaker for $24.99! That is down from the normal price of $79, for a 68% savings. 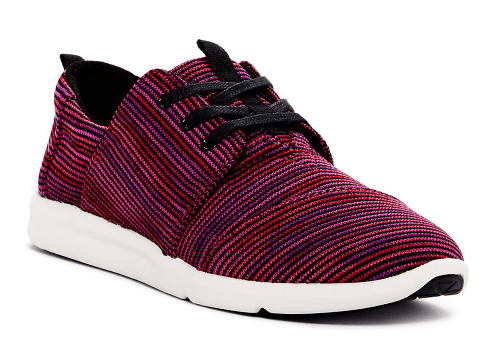 A brightly hued knit design offers bold style on a comfortable pair of sneakers. With every pair you purchase, TOMS will give a pair of new shoes to a child in need. One for One(R).